A frustrating situation for many Lean Six Sigma professionals is the lack of implementation, follow through and sustainment of solutions. Green and Black belts often generate well thought out and analyzed solutions to complicated work problems; those solutions are implemented at various work centers only to find a lack of sustainment. Sustainment is a key advantage of Lean Six Sigma over traditional problem solving and is required to achieve continuous improvement. 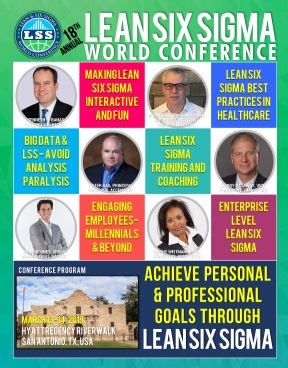 Lack of sustainment is one of the biggest challenges to the credibility of Lean Six Sigma as an organizational philosophy and can lead to executives thinking “This Lean Six Sigma stuff does not work”. One cause of this situation is that many Lean Six Sigma professionals are very good at understanding “What” and “Why”, but struggle with “How”. Understanding “What” means knowing the situation, the process or the problem…this is a core Lean Six Sigma skill and most of us do well in the define stage. Answering “Why” is another core competency and leads to root cause analysis, Y=f(x) and other analyze phase tools. However, figuring out “How” to implement a sustainable solution is more difficult because the element of people is introduced. People are these strange, emotional creatures who often do not behave in a logical manner. The human phenomena must be recognized, understood and planned for, otherwise Lean Six Sigma initiates fail to achieve lasting results. This session will begin with change management and review of Q x A = I, next attendees are put in small groups to practice brainstorming and affinity diagramming, and we wrap up with discussion and video about the power of metrics. The teaching philosophy is to create attendee interactions by using open-ended questions and hands-on simulations.